The conversation about preserving mid-century buildings is growing by the day. Generally defined as the era after World War II and through the late 1960s, these buildings are now old enough to be eligible for historic designation—and seem to be getting their just due. 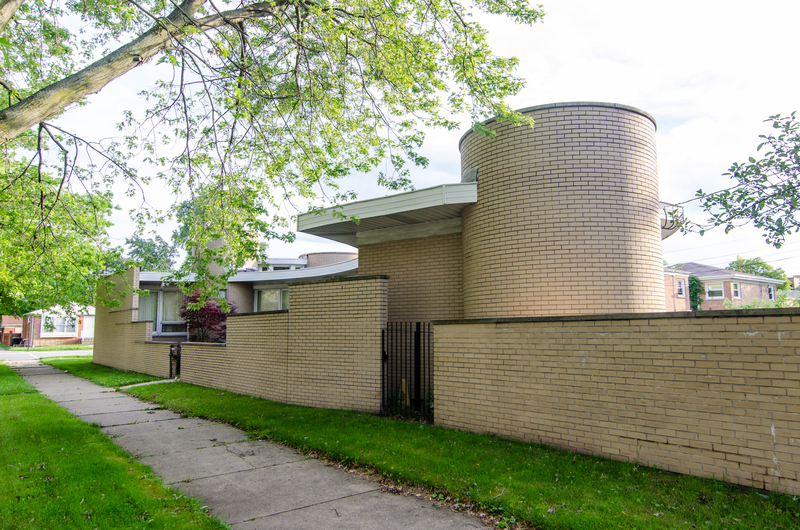 Landmarks Illinois, the state’s leading organization for historic preservation, put a select number of mid-century homes on their annual list of “most endangered” buildings this year. And recently, the City of Chicago’s Commission on Chicago Landmarks voted unanimously to grant landmark status to Bertrand Goldberg’s iconic corn cob towers, Marina City. 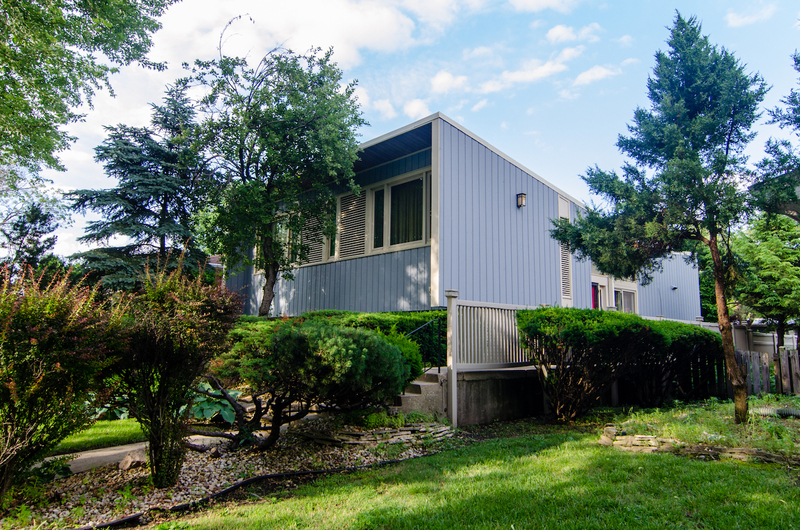 On the South Side, a significant collection of mid-century homes are worth adding to the conversation. Located in Chatham, these architecturally significant homes tell a story of the city’s twentieth-century black economic and cultural elite. Chatham—bordered by 79th Street to the north, 87th Street to the south, King Drive to the east and State Street to the west—is striking. Its blocks are filled with bungalows, Georgian revivals, and other solid brick homes. Residential streets are completely uniform, with each house set back exactly the same distance from the sidewalk, creating a visually harmonious streetscape. Block clubs organize the purchase of the distinctive globe street lamps that line front yards. The large front lawns and wide parkways create a feeling of urban regality. Roosevelt University history professor Christopher Robert Reed is an expert on twentieth-century African-American Chicago. In the early part of the 1900s, he explains, African-Americans had been living in cramped conditions and substandard housing in Bronzeville. After World War II, the community moved directly south down King Drive to Chatham, then a largely undeveloped area. “In Chatham, the upwardly mobile could ‘strut their stuff’ architecturally, and build homes that had never been seen there before,” Reed says. “It was the fulfillment of a dream to live in a community where you could live in a home that was architecturally commensurate with your success in life.” The African-American elite of the mid-twentieth century strutted their stuff in high, mid-century style. Mid-century modern homes celebrate the optimism of life after the war. Photos and watercolors from the period depict a life of leisure lived with sliding glass doors opening to indoor/outdoor spaces, sunken living rooms, and wide open spaces for entertaining. Their rise in popularity coincided with the growth of postwar suburbs, stretching out vertically on larger lots. Because of the style’s connection to the suburbs, the face of mid-century modernism is also largely white. The story of Chatham, professor Christopher Reed explains, is one of “push/pull.” Whites were feeling the pull to the suburbs via federal assistance in the form of home loans for newly constructed homes. The “push” is the African-American move down from the northern end of Bronzeville, moving away from overcrowding and wishing to attain housing that reflected their status. As architectural critic Lee Bey once told me, the mid-century modern homes of Chatham are a version of suburbs within the city limits. Architecture aficionado and Chatham resident Joe LaRue’s experience mirrors the one Professor Reed describes. 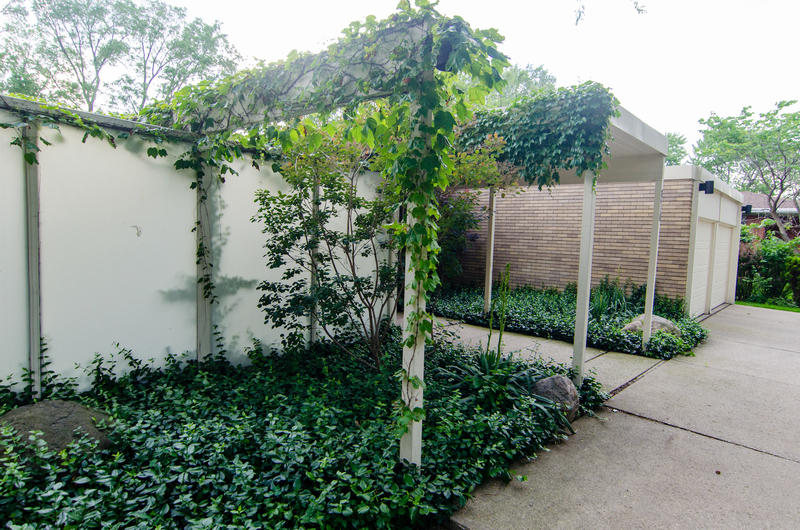 A retired assistant dean for the University of Chicago Graduate School of Business (now Booth School of Business), church choral director, and emeritus docent of the Chicago Architecture Foundation, he moved to Chatham in 1960 and purchased his current home on 83rd and Prairie in 1972. When Mr. LaRue came to Chicago, he moved to Bronzeville. By the 1950s, he was living with his family in a Park Manor apartment previously occupied by Ernie Banks. At the time, the residents of Park Manor were mostly African American. When he moved to Chatham, there were still a few white families. According to Professor Reed’s research, the home values of Chatham increased after it became predominantly African American. A deep exploration of Chatham’s custom homes is necessary as the focus on mid-century preservation is expanding. Through this overlooked collection of mid-century modern work comes the opportunity to showcase the neighborhood’s unique history as well: as the heart of twentieth-century African-American economic and business life. What follows are just a few of the stories embedded in Chatham’s mid-century homes. The home of George Johnson, the “King of Black Haircare,” is an understated modern gem. The home has a flat roof, hidden entrance, and an uninterrupted brick exterior. Although the exterior exhibits a home designed for privacy, within the house, large interior panels of floor-to-ceiling glass reveal a home of airiness and light. The characteristically large parkway on which the house sits—another staple of Chatham design—is bisected by a prominent circular drive. George Johnson and his wife Joan co-founded Johnson Products Company. Johnson Products Company manufactured the hair relaxer, Ultra Sheen and Afro Sheen. In addition to being a successful business owner, he was the exclusive sponsor of the television show, “Soul Train,” and in 1964, co-founded the black-owned Independence Bank. In 1995, Independence Bank, which was located in a striking, curvilinear building on the southwest corner of 79th and Cottage Grove, was purchased by Shore Bank, and is now Urban Partnership Bank. By mid-century, the neighborhood was home to at least three black-owned financial institutions including Independence Bank, a branch of Illinois Service Federal Savings and Loan, and Seaway Bank and Trust. These banks provided traditional mortgages with fair terms to African Americans who had been previously denied access to home loans. These banks built Chatham. 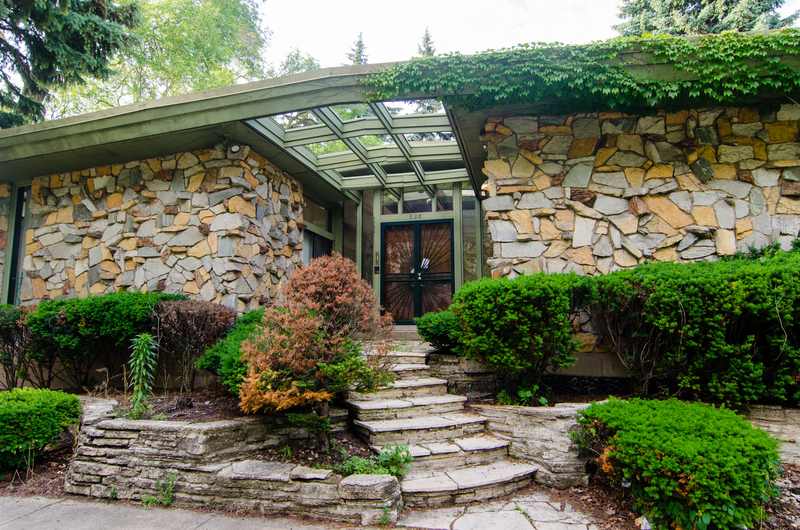 To design his Chatham home, George Johnson hired North Shore architects Huebner & Henneberg, who had built several homes in Park Ridge and Skokie. The mid-century architectural appreciation group, Chicago Bauhaus and Beyond, calls Huebner & Henneberg, “one of the unsung architects of the period.” Their homes were widely published in the late 1950s and sixties, including features in House & Garden, and in a special edition of Arts & Architecture magazine on “visionary architecture” alongside Marcel Breuer, Richard Neutra and Pierre Koenig—all internationally known mid-century heavyweights. One of the most widely recognized homes in the neighborhood is the black-and-white rectangular building on the corner of 85th and Michigan. 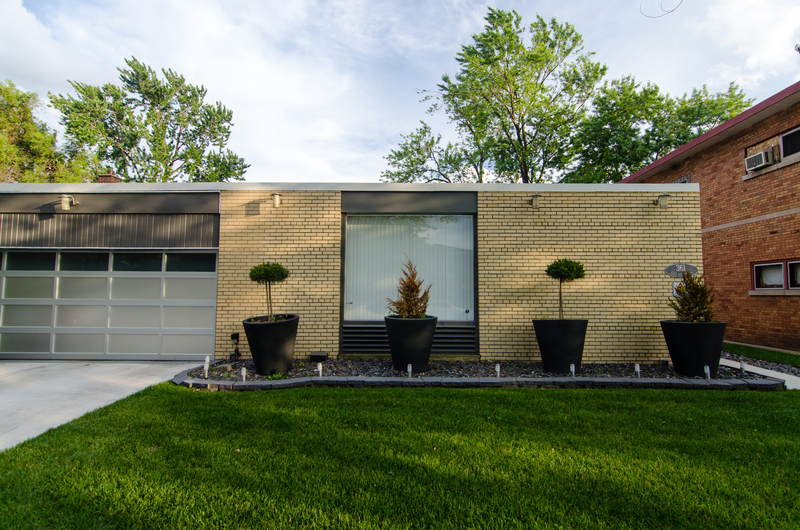 Designed in 1958 for an attorney and his family, it looks strikingly contemporary today. The home is situated on a corner lot, the front facing Michigan Avenue in a tri-level design with a raised basement and second floor clad in black painted wood. The front door, which faces 85th, has a prominent gate made of copper fashioned in an intricate, mod pattern of circles. The interior features a sunken living room with a large, wood clad fireplace. The attorney who built the home sold it to history maker Jolyn Robichaux. A prominent business owner, she and her husband purchased Baldwin Ice Cream in 1967 from Kit Baldwin, one of the original African-American postal workers who founded the company in 1921. In 1971, Robichaux’s husband Joseph unexpectedly passed away, leaving the business to Jolyn. She focused on increasing the wholesale business, built the company into an ice cream empire in the Chicago area and became one of the city’s most well-known businesswomen. In 1992, when Mrs. Robichaux was ready to retire to Paris, she had the sale listed privately through an agent. The current owners, Criss and William Lott, were living in Oak Park when the opportunity to purchase the property was presented. A colleague of Mrs. Lott’s at American Airlines wanted the home for herself but, when she was unable to purchase it, put Mrs. Robichaux in contact with the Lotts because she wanted them to have it. The Lotts, who describe Mrs. Robichaux as “quite a lady,” instantly loved the home and have been caring stewards of it. For years after purchasing, Mrs. Lott would hear stories of the fancy parties held at her home when Mrs. Robichaux lived there. The Lotts have preserved the original character of the home, taking care to find contractors who can restore things to their original design. The architect of the Robichaux house, and several others in the neighborhood, was Milton Schwartz. Amazingly, there were two architects named Milton Schwartz working in Chicago during this time period. 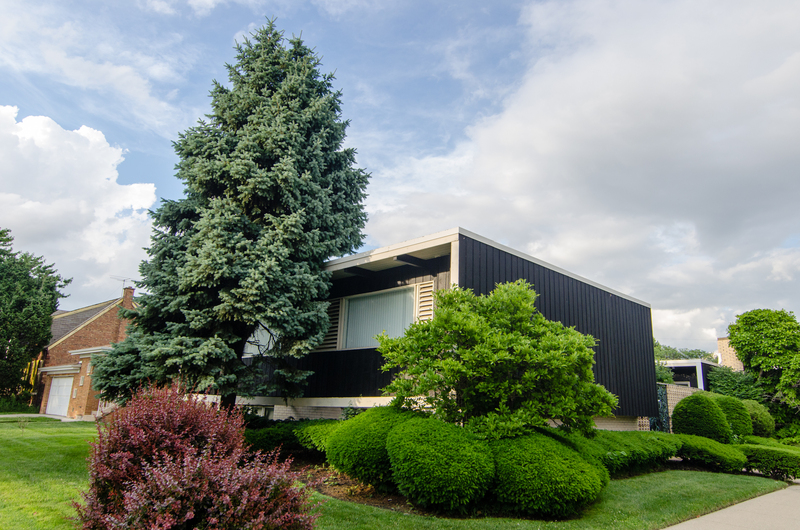 One designed mid-century high rises and the other—who worked in Chatham—designed custom homes out of an office in Barrington. The majority of his work is in the North Shore. Famous restaurateur Helen C. Maybell, the self-proclaimed “Soul Queen of Chicago,” built the house on Calumet that faces 84th Street. According to her obituary in the Chicago Tribune, her South Side restaurant, Soul Queen, at 9031 South Stony Island in Calumet Heights, hosted nearly every prominent African American to pass through Chicago, from Joe Louis to Muhammad Ali, Count Basie to Mahalia Jackson, and countless politicians. She also was a financial supporter of black-owned businesses and financial institutions. Her majestic house stretches out on 84th as if it sat on acres, rather than a typical urban lot. It is clad in a rustic stone with a large center entrance. A November 11, 1965 issue of the magazine Jet describes a party at Maybell’s home, calling it the “Rock Castle.” The architect of the Soul Queen’s home was Milton Schwartz. 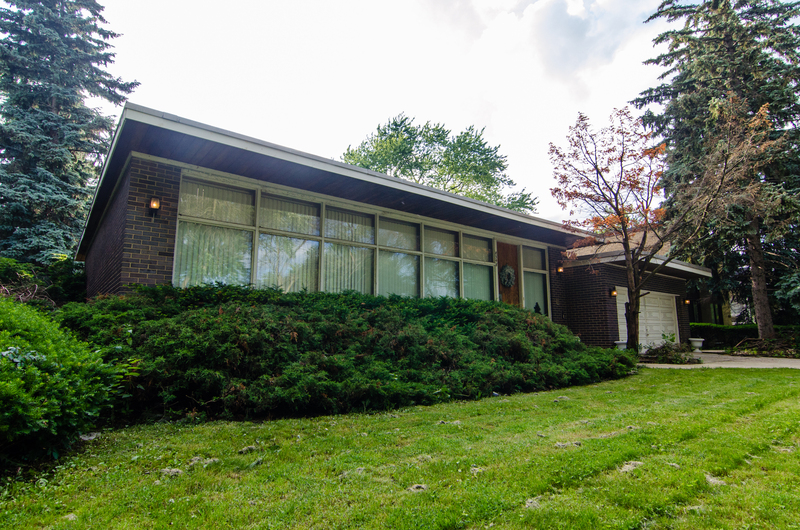 Just north of Maybell’s house, at 8348 South Calumet, is the home built in 1964 for prominent civil rights attorney Lawrence E. Smith and his wife, Virginia. According to his obituary in the Chicago Tribune, he was a mentor to many African-American lawyers and worked toward racial justice, and was a member of Funference, a predecessor to the Council on Racial Equality (CORE). African-American architect K. Roderick O’Neil designed the Smith house. Chicago architect ElDante C. Winston, AIA, NOMA, is a first-year PhD candidate in architectural history at MIT and researches African-American architects. He explained that O’Neil is central to the story of black architects in Illinois. Before striking out on his own, O’Neil worked for Walter T. Bailey, the first black architect in Illinois. Winston believes that many black architects in the state can trace their lineage back to Bailey and O’Neil. 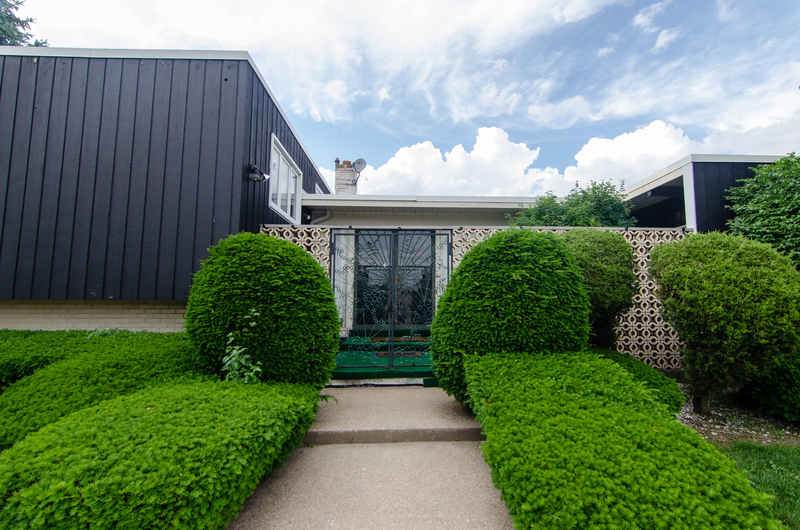 Just south of the officially recognized southern border of Chatham, on 89th Place, is a house designed by architect John Moutoussamy. Moutoussamy was the first black architect to become a partner in a major firm, Dubin Dubin Black & Moutoussamy, and designed the Johnson Publishing headquarters on South Michigan Avenue—currently owned by Columbia College. Moutoussamy attended IIT School of Architecture on the GI Bill after serving in WWII. 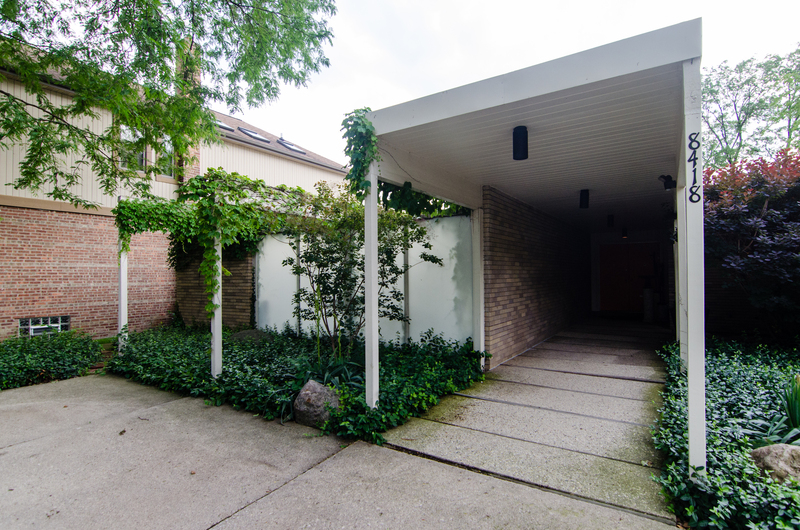 He studied and worked with Mies van der Rohe. He also spent time working in the office of K. Roderick O’Neil. His classmates at IIT included YC Wong, Jacques Brownson, Carter Manny and Bruno Conterato, central figures in twentieth-century modern architecture. 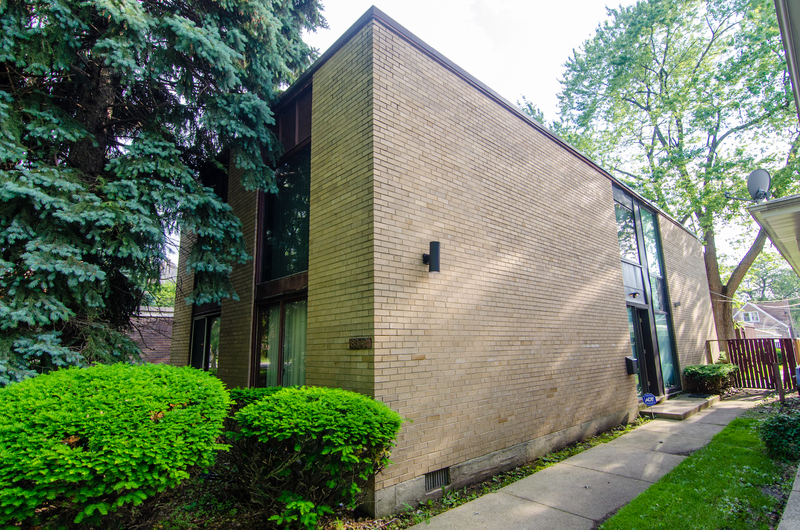 A two-story Miesian modern home on 84th and Calumet was designed by architect Martin Schaffer for Frank Anglin, a civil rights attorney and founder of one of the first integrated law firms in Chicago. He was also a president of the Chicago chapter of the National Lawyers Guild. Anglin married his neighbor, the Soul Queen, Helen C. Maybell, in 1976, and their wedding was said to “steal the social spotlight” of the city at the time. It was officiated by the Rev. Johnnie Colemon of Christ Universal Temple, who delivered Anglin’s eulogy too along with the Rev. Jesse Jackson.